The well loved Maisen from Tokyo just landed in Manila. It's been dishing out the best Tonkatsu in the land of the rising sun since 1965. It also just opened a bigger store in SM Megamall and by the looks of it, it's the first one to open in any SM branch for that matter. When I asked the servers, they said they haven't really run out of people in this one and says sales have been phenomenal. The best Tonkatsu in the world is proving it's worth and we were there to witness its grand launch a few days ago. It was also witnessed by celebrities Ruru Madrid, Gabbi Garcia, Enzo Pineda, male supermodels River Viiperi, Kevin Hub Smith, Eian Scully and executives from Suyen Corporation. 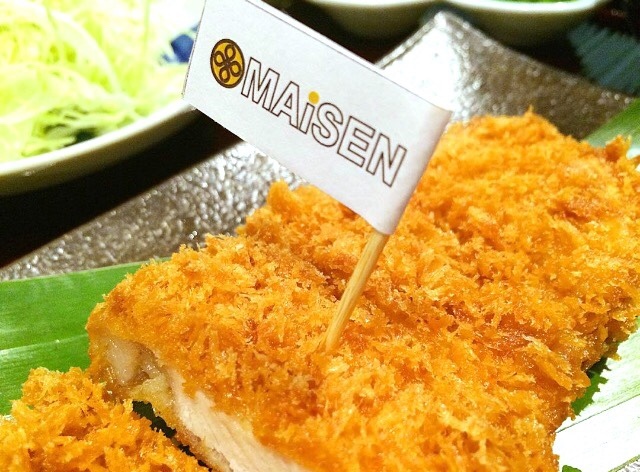 The Maisen franchise has been acquired by Suyen Corporation, CEO Ben Chan, famous Chef Florabel Co - Yatco, restaurateur Rikki Dee (who's got several restaurants in his belt), Richard Gomez, Congresswoman Lucy Torres Gomez and the Queen of all media Ms. Kris Aquino. Izutsu Maisen Co. Ltd.'s very own President and CEO Takeshi Okamoto and Corporate Planning Director Tadakazu Fujishiro were also there to bear witness, they flew all the way from Japan. As for it's authenticity, Japanese expats who originally had it in Tokyo plus tourists who also tried it recently said it tasted the same. Now if that doesn't get you interested in trying out Maisen's Tonkatsu, you're going to have to watch this! Maisen has their existing Greenbelt 5 branch for those in the south, whilst they also have another in SM City North Edsa for those up north. The biggest one in SM Megamall has a stand alone beverage area so service is impeccable. The Tonkatsu by far is the softest I've ever had in my entire life. I thought it would have crunch out side but it kinda just crumbles and melts in your mouth when you bite into it. It's that good! For this occasion, they also flew in Yorkshire pork for us from Japan. It was one for the books! You can imagine how the sauce, their own home made like bread crumbs, makes Maisen the number 1 Tonkatsu maker in the world! Now head on to SM Megamall's 3F Building A right in front of the Cinemas. Maisen isn't a fad, it's the real thing! It's legit!